Five years ago, I received a face book request from a childhood school friend from the Franklin Town Primary School in Kingston, Jamaica that I attended when I was a child; my childhood school friend began to update me on the terrible state the historic Franklin Town School was in. This has been a school that I had not visited for over 30 years and to witness its state of aging infrastructure, limited academic resources, and an underutilized landscape not to mention the students seemed unable to focus on their studies as they came to school hungry. My vision for Alabaster Gates Children’s Charity was to make resources available to raise a generation of visionaries and to educate students beyond their limitations. Upon my return to Toronto, Canada, where I currently reside, I asked each of my family members to contribute $50.00 to this vision and that was the creation of “The Alabaster Gates Children’s Charity”. Alabaster Gates Children’s Charity was founded by The Wong Family that included over a total of 20 students that previously attended the Franklin Town Primary School over the course of two generations along with other supporters the vision to restore the 100 year old monumental and notable institution we called our Primary school was able to raise $3000 US dollars within a month. Alabaster Gates Children’s Charity’s first project was to select schools within the area which infrastructure needed to be rebuilt, painted and build a principal’s office. The second project was to offer a scholarship to the highest achiever and most improved student graduating on to high school. 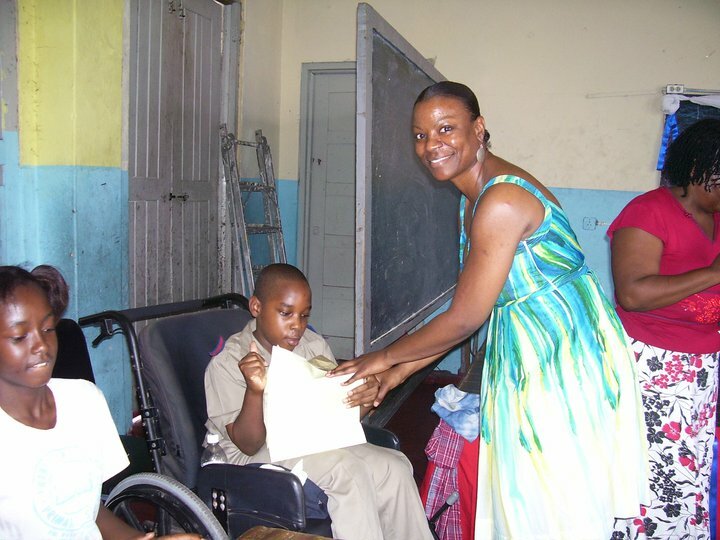 A scholarship was then established with the Kingston Book Store and the Alabaster Gates Children’s Charity. It became my vision to offer students an opportunity to virtually travel the world from their classroom without a passport through the International Educational Skype Project; students get the opportunity to share information on their cultures, academic studies and social events with other students across the world this project is similar to a previous method such as "Pen-Pal"; the difference is that the communication will be visual and verbal using technology such as Skype. This project is not only unique for the students but here at Alabaster Gate Children’s Charity we believe this project will be a positive step for the students and will help them create a sense of recognition and pride. The International Educational Skype Project has been viewed by schools located in Dubai, Africa, Australia, America and other Caribbean countries and they have expressed an interest in participating in the project in the near future. Alabaster Gates Children Charity’s resourcefulness is achieved through bursaries which are hand delivered to the recipients of the bursary at the student’s annual graduation. Students also receive a backpack filled with school supplies that is needed to continue with their education and to promote a balanced nutritional meal schools that participate in the International Educational Skype Project are provided with Mckenzie seeds which is used with the intent to grow and farm food, barrels are shipped to schools that include donations of academic, medical and food items. And their consistent concerns about the well-being of our future students. Jamaica Tourist Board, Fly Jamaica, West Jet, Caribbean Airlines, BMW (Yonge and Steeles), Western Union, D& N Enterprise, Mackenzie Seeds, Liguanea Club, Traveler Beach Resort, Port Royal Freight. Jamaica & Canadian Consulate General, Royal Bank, Kiwanis Club(Toronto Sunshine Chapter) Education without Boarders (Toronto), Jamaica Minister of Education, Toronto Catholic and Durham District School Boards and various schools in Jamaica. Dr. Stephan Tannis, Denise Price-Hoo, Owen Leslie, Carol Carr, Bryon Henry, Nigel Grandison, Anthony Plummer, Bernard Lee, Donovan Simmonds and other private donors.